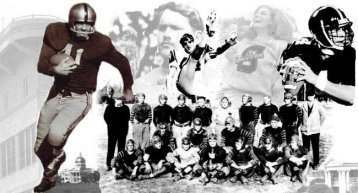 From it's early begining in 1912, football at Southern Miss has nurtured a rich tradition. The program has built a reputation of "taking on anyone, anywhere, at any time." Even with that philosophy, we have achieved an over-all school record of 465-311-27 to include 14 post season bowl games. 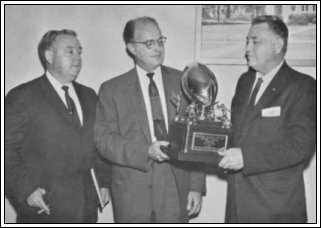 Over the years, there have been many memorable games resulting in numerous Conference Championships, 2 National Championships, and with Southern Miss achieving stunning upsets due to our tremendous determination and relenting desire for victory. Who could ever forget defeating TCU in 2003, Auburn in 1990 & 1991, beating Alabama in '82 ,'90 and 2000, or Florida State in '81 and '89. These factors along with the numerous victories over our in-state archrivals have resulted in Ole Miss, Miss. State and most of the SEC refusing to play Southern Miss. GoldenEagles.net is not affiliated with the University of Southern Mississipi. 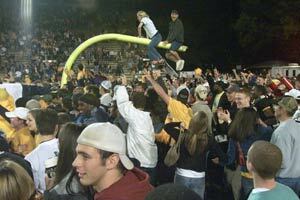 It was created and registered on the 10th of May 1999 for the personal enjoyment of Southern Miss fans everywhere. "We got beat in every aspect of the game!" "Southern defeats Bullgdogs for first time." "The Biggest College Upset of the Year"
Loss Give Tide Worst Start in 10 Years! "If you are ever going to be what you want to be, you have to do it by playing a tough schedule against people that are respected...and get the recognition you want at a national level, you have to develop a reputation." They're not afraid of playing anybody!" Southern Miss holds a 10 - 5 advantage. Southern Miss holds a 5 - 2 advantage. The Golden Eagles also captured the mythical State Football Championship by defeating both Ole Miss and Miss. 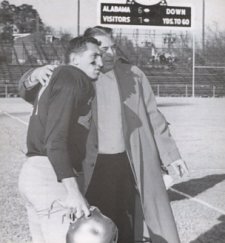 State in 1977, 1979, 1980 and 1983 before the rivalries with USM were discontinued by both SEC schools. "Southern Miss becomes the first nonconference opponent to win in Lincoln since 1991."